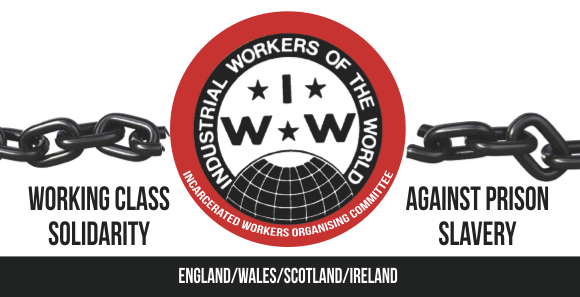 11th of June is a day of solidarity for all long-term anarchist prisoners. Originally organised as a way to support Jeff Luers, Marius Mason, and Eric McDavid, the project has expanded to maintain communication between anarchist inmates all over the world. The importance of this communication is to be highlighted; prisons exist to dehumanise people, to separate them from communities, and to smash any sense of independence. Communication serves as a source of dignity and defence against such conditions. But more than this, communication allows our comrades to continue the struggles they were pulled away from. Whether outside or within the belly of the beast, anarchists will always fight back against repression. This year a group of wobblies in Cymru sent cards to Jeremy Hammond, Bill Dunne, Marius Mason, Eric King, Sean Swain, Michael Kimble, Thomas Meyer-Falk, Andrew, and Claire. We gave them our love and we took inspiration from their various struggles inside and outside of prison. “My body is trapped here, but my heart is with you still fighting out there,” Marius Mason.